A bad tempered Princess demands a pet dragon but when it arrives it turns out to be just as bad tempered as the Princess! 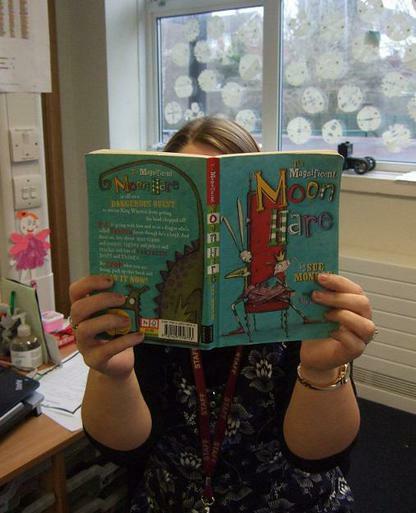 Hazel Class like books about dragons and this one is funny too! Year 1 Maple class are reading this lovely book. It’s funny and has all of the fairytale characters in it. 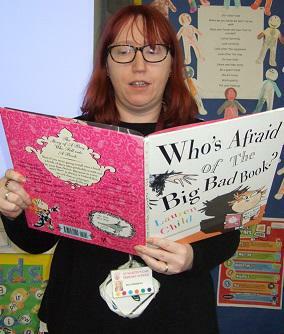 It is a fantastic way to introduce our ‘Big Bad Wolf’ theme! 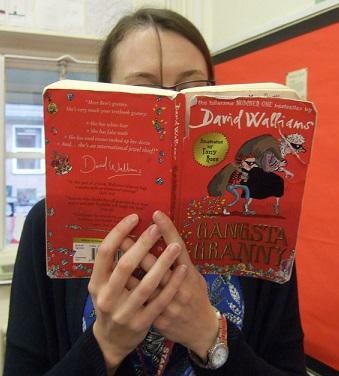 I am reading this book to 3J- I like it because it is so exciting, funny and really quite different! The relationship between Granny and Ben is very well written which makes the story easy to believe- even though the plot is a bit mad! 4S and I are enjoying this book. 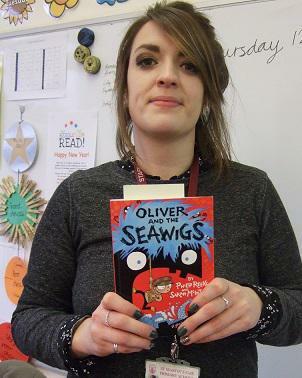 It is a lot of fun to read aloud, with lots of different characters like a bossy short-sighted mermaid, sarcastic seaweed and the naughty sea monkeys! The humour in this book is clever, the pictures are very comic and we recommend this wacky adventure! This book is fantastic! The story starts very quickly and the characters of Shen and Sika are very likeable, the pictures are funny and the language used in this book is clever and at times beautiful. EVERYONE should read this book! 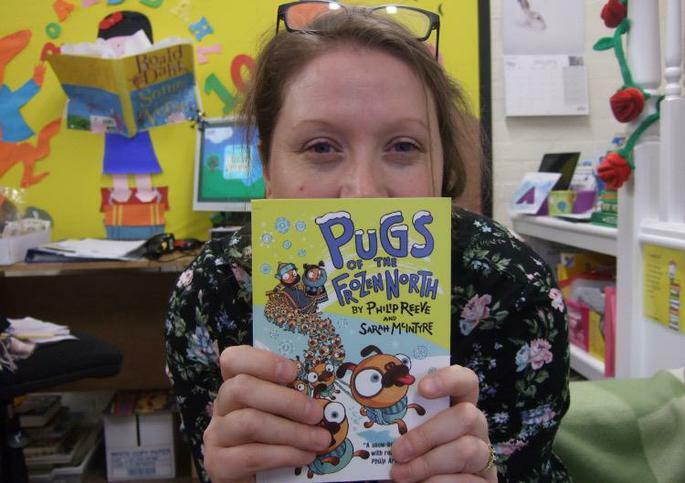 There are 66 heroic pugs in this story, who doesn’t love a pug? !